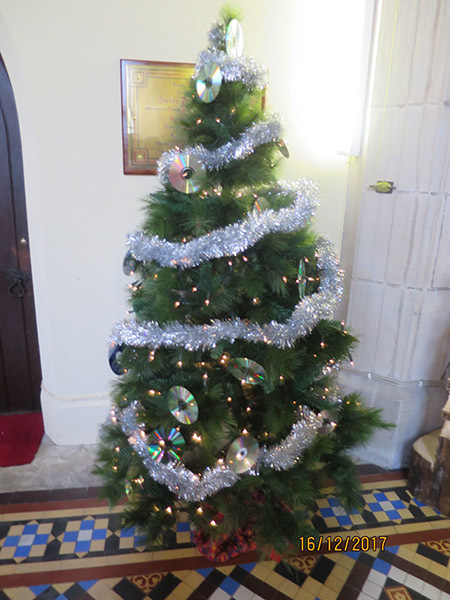 This has become an integral part of our seasonal celebrations in the area with individuals, organisations and businesses/retailers decorating trees for display in St. Mary’s, Church of Ireland. To augment the display of trees, every festival visitor gets a chance to vote on your favourite tree in each of the three categories listed above. In fact it’s not too late to submit a tree of your own for our admiration; the deadline is 7 December. The afternoon teas are special and we have several people who now schedule their visits to enjoy lunch or tea with us. We also have seasonal produce of homemade jams and chutneys for sale, along with craft and other items. 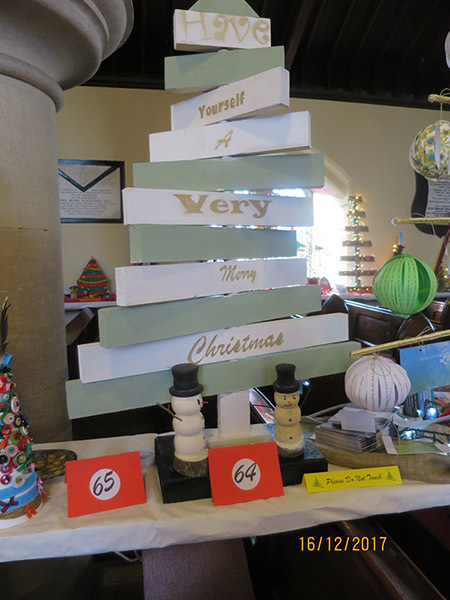 The raffle has prizes of all sorts for every taste, thanks to the generosity of suppliers. And we have a Lucky Dip for you young ones and a Quiz Sheet for all in the family. We’ve planned seasonal music to accompany your visit with some short afternoon concerts. The Christmas Tree Colouring Contest for local primary schools was a new addition last year and such a success we are doing it again. Our Prayer Tree will be here for you to augment with your prayers and use for some quiet time and reflection. 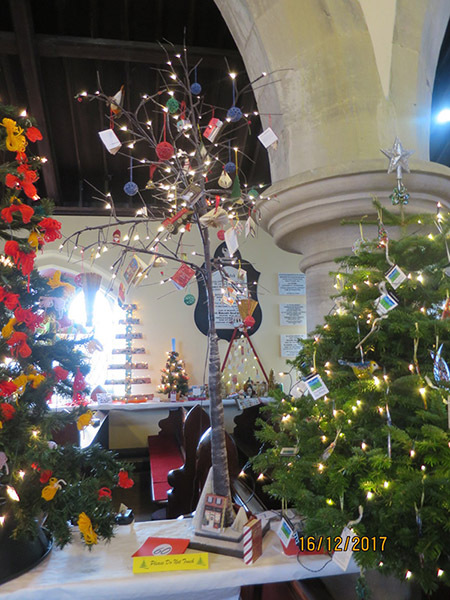 And new for this year is our Community Christmas Tree of knitted or crocheted squares and ornaments, made by dozens of volunteers in the area. In addition to Parish funds, we are supporting Focus Ireland: Challenging Homelessness, Changing Lives. Particularly at Christmas time, home has a special meaning and it is hard to be without one.